Phonics: In phonics, we are working on review exercises from Jolly phonics workbook 6. 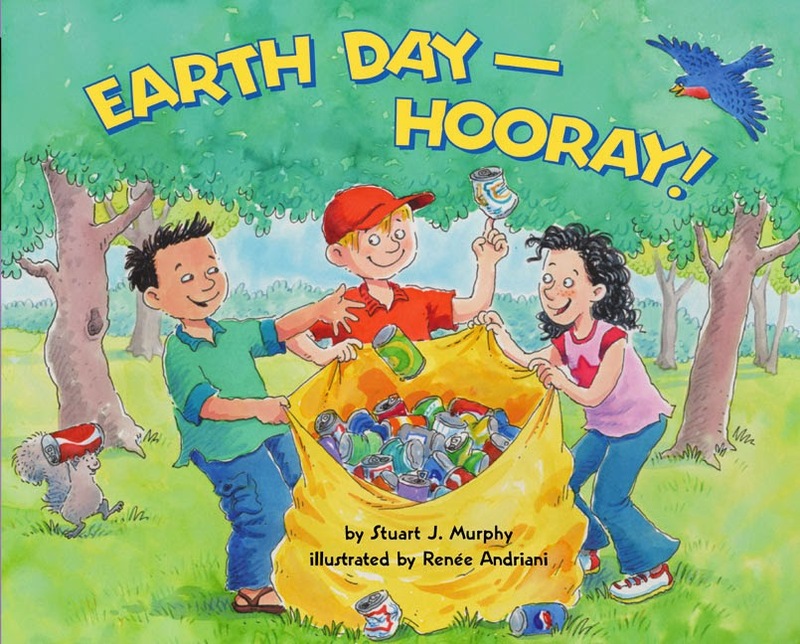 We started our week by reading a story about Earth day called “Earth Day –Horray.” Then, we talked about things we can do to take care of our Earth. 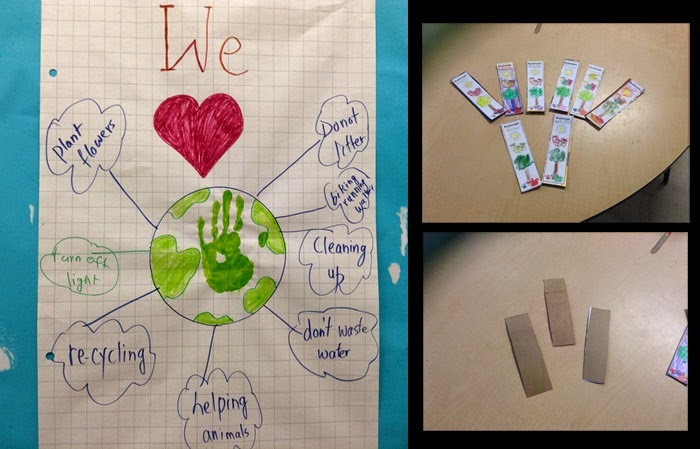 Sk2 did a wonderful job by sharing ideas on how to take care of the Earth (for example: caring and planting flowers, recycling, not wasting water, turning off the lights when not in use, not littering, etc...). Also, SK2 made Earth Day bookmarks out of recycled cereal boxes for our reading bags. 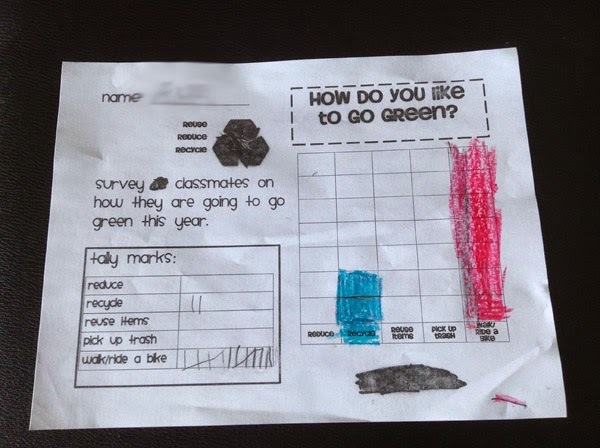 As well, we discussed how we like to Go Green, using a bar graph. 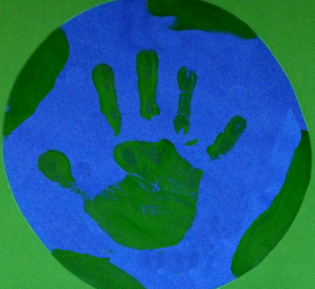 I promise to take care of our earth by……..
We started to learn about graphs. First, we watched an educational video on graphs and then we discussed what a survey is and how we use tally marks to keep track of survey data. Then, we discussed how we use tally marks to make a bar graph. 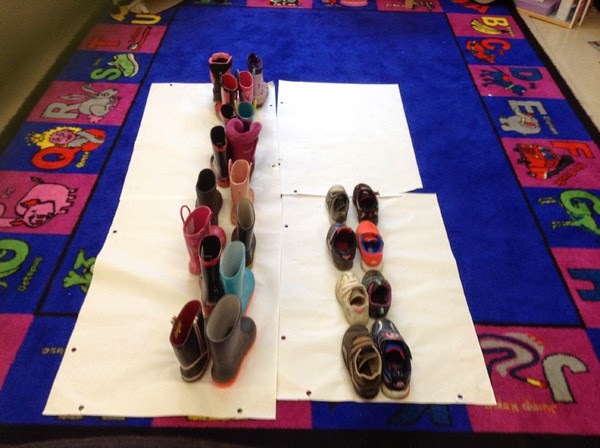 Finally, we did a survey using the question “Are you afraid of spiders?” We also did a hands-on activity determining how many students are wearing rain boots and how many are wearing running shoes. Have your child draw pictures on a calendar to record each day’s weather. At the end of the month, make a picture graph showing how many sunny days, rainy days, and cloudy days were there in that month. 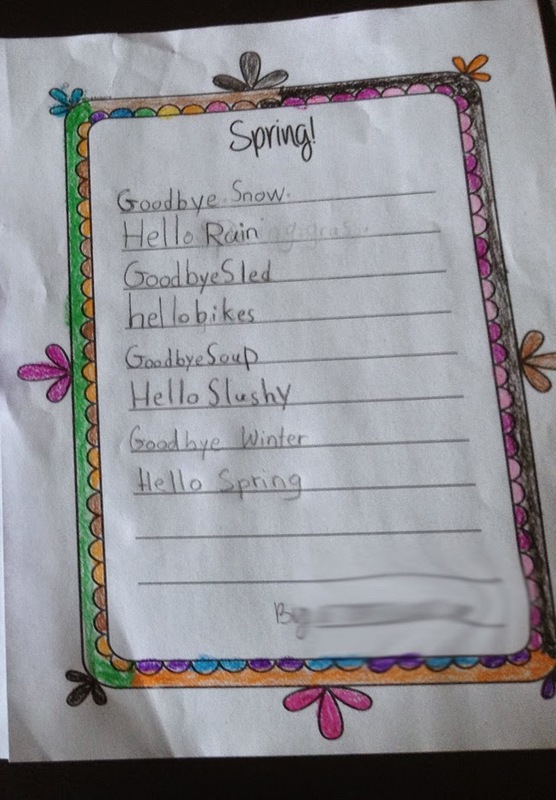 As we missed our Science lesson due to long weekend, we integrated science into Language Arts by brainstorming and writing about a Spring poem called “Good Bye winter, Hello Spring”. Great job SK2! 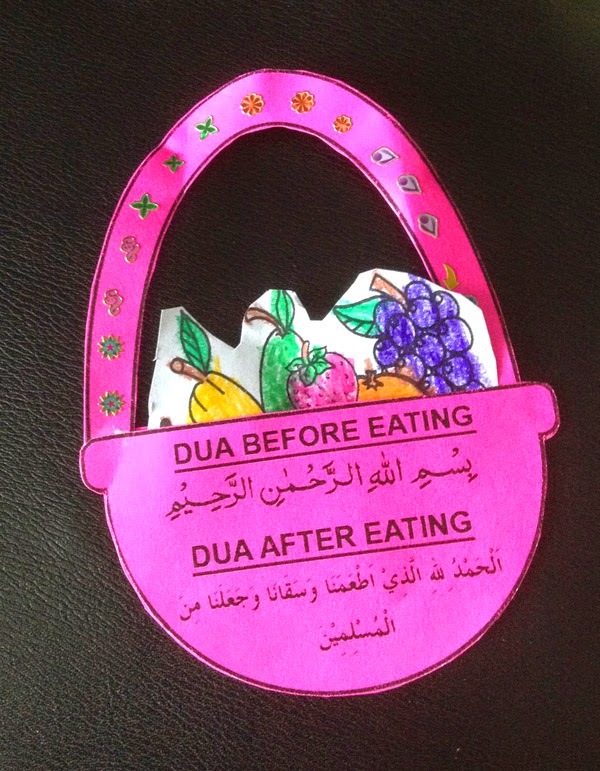 We continued to pray Jummah prayer in class and also made a fruit basket fridge-magnet craft for the “Dua Before and After Eating”. 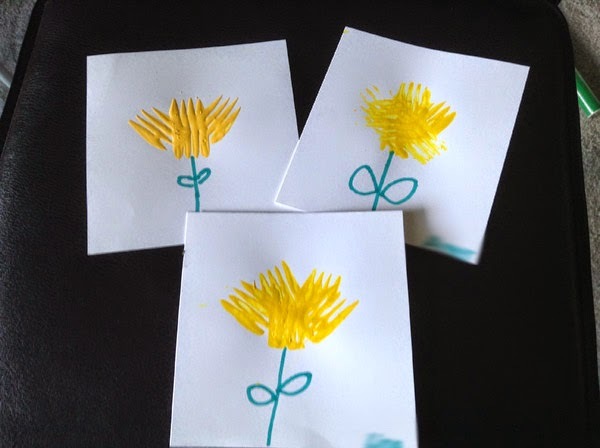 We made Spring Dandelions using a fork and tempera paint. Sk2 also made cute crafts for Earth day, MashaAllah!